December 7, 2017 January 7, 2018 Antonio V.
Whether you’re black, white, hispanic, rich, poor or in between; never apologize for who you are. You are you and that makes you unique. You’re an awesome human being and you deserve to live your life how you want. Because ultimately it’s how you feel about yourself that counts. If you want to change, change. But don’t apologize. Own it. November 1, 2017 Antonio V.
July 25, 2017 July 25, 2017 Antonio V.
They will tell you that you can&apos;t move mountains. They will say that you can&apos;t cross seas. That you can&apos;t dig deep and realize your own seeds of greatness and plant them to become better. They tell you all of this because they love living in their comfort zone. And because you want to do something, they lash out and criticize you. But that&apos;s just their insecurities talking. Find what makes you passionate and do you. And do it because they said you couldn&apos;t.
February 26, 2016 February 26, 2016 Antonio V.
The world is not fair. Some people get all the breaks in life. I will never amount to anything. Why am I even here? Sound familiar? Any of it? Each of you reading this today can identify with these sentences. At some point in your life, you will say one of them or something similar. You will feel like no matter what you say or do, you can’t get any further in life. Ok. Well, I don’t agree with you. I know that the entire world is not fair, but mine is. My world is everything around me that I can affect. I don’t care about the chaos going on around me. You know why? Because I know my worth and you should, too. 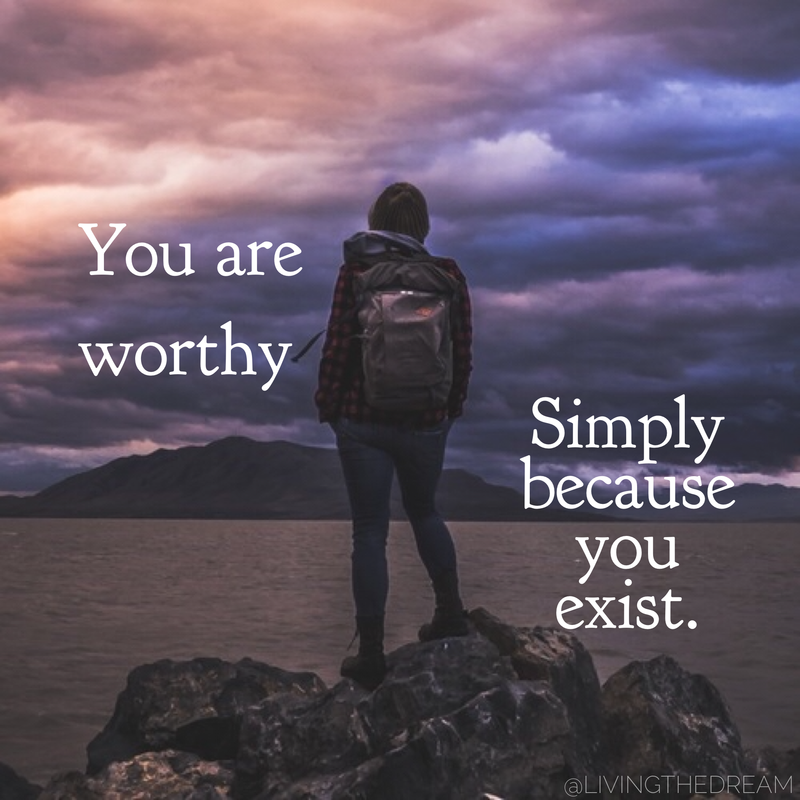 You are worthy simply because you exist. Yes, it’s just that simple. There is honestly no difference between you and the next person. Especially a celebrity. Well, at least, one thing: they realized their worth earlier than you. That’s it. They knew that they had someone to offer the world and they knew they could do it. That’s what being worthy is about. Recognizing that you were born this way and that you can do and be anything you put your mind to. I know there are some skeptics out there. People who say that this is all lies and everyone is not born with the same advantages. But I am telling you the truth. There will be tough times and obstacles. There will be times that you feel like quitting and giving up. But you can’t do that. Too many people do in life already. Be different. Be different and believe in yourself. Be different and know you are something special created by the cosmos to be exceptional. Be different and ACTUALLY believe these words and act upon them. Don’t pay lip service to your worthiness. Use it as fuel and realize your potential is beyond imagination. No one is better than you. No one wants it more than you. So now prove it to yourself. Prove that these words aren’t falling on death ears. It’s not going to be easy, but nothing worth having ever was. February 1, 2016 July 3, 2016 Antonio V.
When are you going to start working on your dreams? I know you want to be the best version of you. I know you want to make life easier for you and your loved ones. You want to help those people in your community who are less fortunate. You made the necessary plans and have them tucked away for when the time is right. And when is that? When is the time ever right for anything? The Wright Brothers didn’t wait until someone came along to perfect their plane. They devised a rudimentary machine and set about trying to get it to fly. They didn’t wait until someone showed them how to do it. They just did it. Yes, it didn’t work the first couple of times. But all it took was one time. That one time changed the entire course of history for how we all travelled around the world. 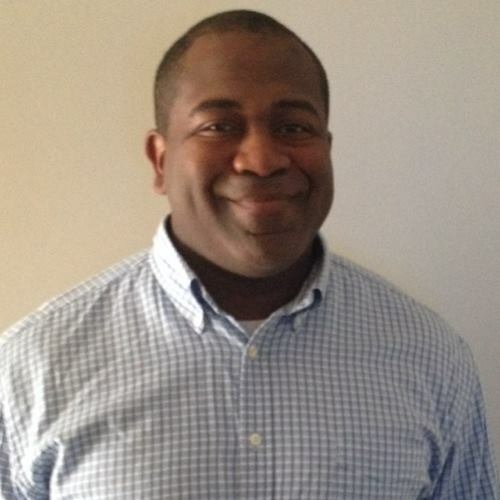 When I knew that I wanted to leave the military, I didn’t wait. I put in my retirement orders and began working on the foundation for my family’s new civilian life. And as solid as I thought my plan was it still had holes in it. But you know I still too the leap of faith. Steve Harvey’s recent video below after a taping of Family Feud has gone viral. In it he talks about jumping (doing it now) and not waiting. Check it out. Great, huh? See we all have a parachute (our dreams) and many of us hold onto it for years. And like he said, some people never even open theirs. In fact, many people go to their grave with them still strapped to their backs. No, I am not trying to scare you, but you have to have a sense of urgency and jump. Jump into your destiny because there is no other perfect time to do so. N.O.W. stands for No Opportunity Wasted. We don’t have the time to sit around and let others realize your dreams and implement them. We don’t have time for others to criticize us and tell us that it will never work. Today right now at this very moment is the time. There is no better opportunity. Les Brown, the motivation speaker talks about you laying in your death bed and the end of your life. Surround all around you are the Ghosts of Missed and Past Opportunities. They are standing above you and they are angry. Angry that you didn’t take at least one of them and go for it. They are angry at you that they now how to go to the grave with you. Missed opportunities. Now I don’t know what it is that you want to accomplish. I don’t know your dreams. And honestly, I don’t need to. Stop whatever you are doing and start on one of your goals. No excuses. Just stop and come back to this blog if you have to. Bookmark if you want, but go and realize your dreams. Take the first step closer to your legacy. Remember, no opportunity wasted. 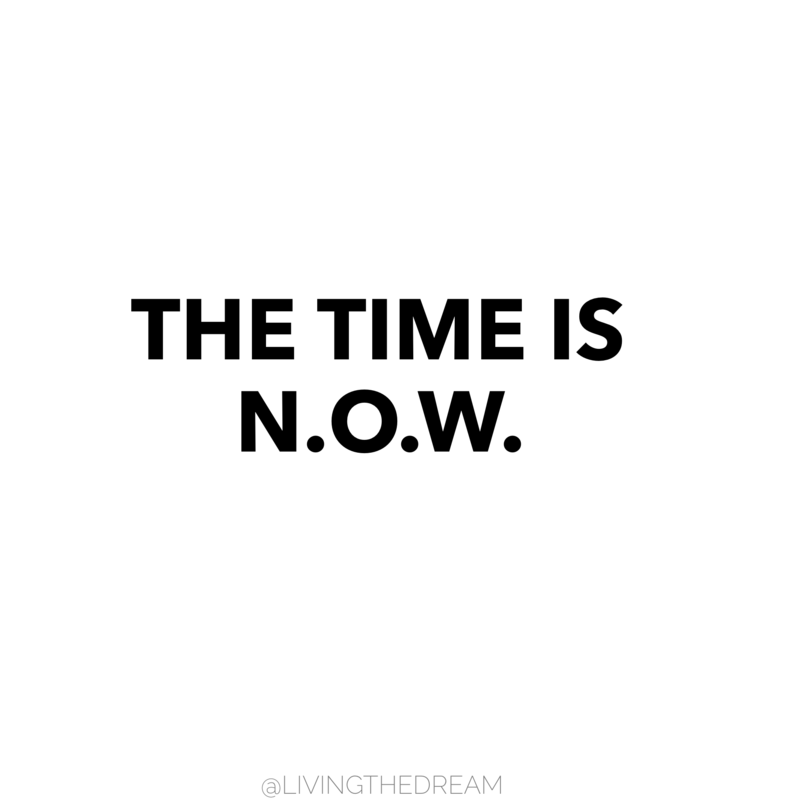 What’s one goal that you would start today right now at this very moment? 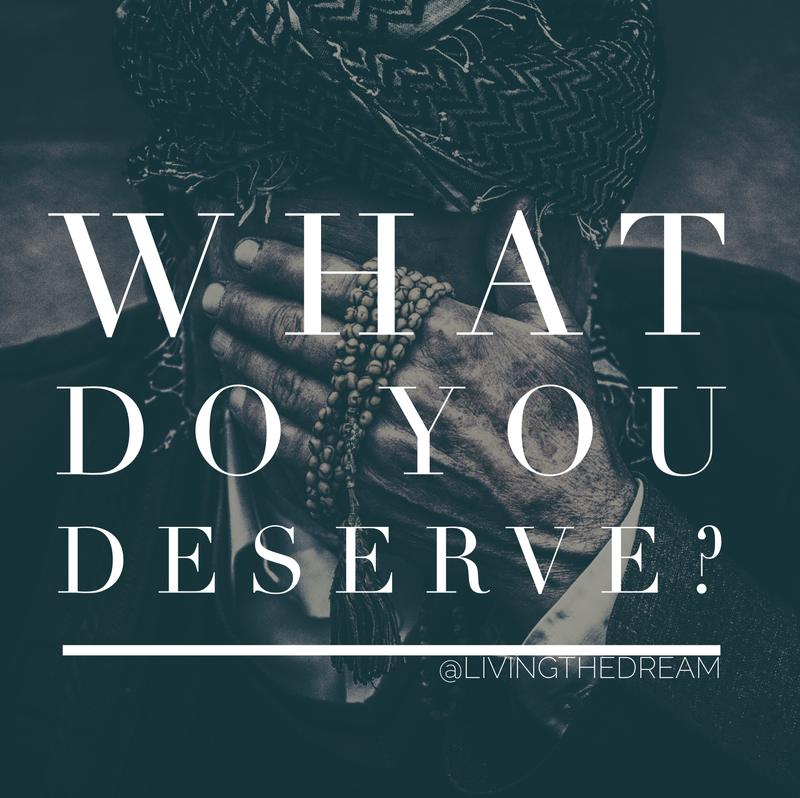 What Do You Deserve In Life? January 27, 2016 March 4, 2016 Antonio V.
What exactly in life do you think you deserve? A big house? A nice job? A beautiful spouse on your arm? What if I told you that you honestly don’t deserve any of it. Not one bit. Not if you don’t work for it. Many of us, not all, have someone been raised with a sense of entitlement. As if because we were born, the world owes you any and everything that you want and desire. That because of the work that our parents or ancestors have done we someone is entitled to a pass over hard hips, turmoil, trials and tribulation. I want to tell you that if you feel that way and you are reading this blog you are in the wrong place. My blog is not for you. Though I love having followers and talking with you all, I can’t deal with those who feel that particular. I don’t do entitlement. Well, let me take that back. I don’t care for people who have a sense of entitlement and have done nothing to warrant it. I do, however, feel that we are all entitled to achieve our dreams. We are entitled to be always striving for greatness. But do you deserve it? I say yes and can say it with conviction. I know you deserve to not struggle your whole life with money, weight, or self-esteem. I know you deserve to come out on top as much as possible. But you and only you can get you there. Only you can get what you deserve. You can have all the right mentors, friends, coaches, etc. But if you don’t put in the work, it will never work for you. We don’t simply deserve something because we are living and breathing on this planet earth. Every specimen on this planet has to work hard for what they deserve. Why would you be any different? Really. Time is of the essence. We don’t have to debate what you think about the subject. Stop telling me your hustling. Stop being everywhere but on the journey to fulfilling your dreams. It’s time to do work. December 27, 2015 December 28, 2015 Antonio V.
I don’t know about you, but there are days that I don’t want to do anything. Well, anything productive that is. Where I feel like my schedule is too full and I don’t have enough hours in the day to accomplish it all. And a lot of times it is easier to just give up and crawl back in the bed. Pulling the covers over our head and shutting the world out. But let’s not mistake getting rest with avoiding things that are important. Avoiding today is not going to solve anything. The right thing to do is to get through today. Let’s not worry about tomorrow. Just today. 24 hours. That’s our focus. But how can you work on anything when your day starts out not how you wanted it to. You are already running late or thinking about what type of traffic you have to fight through. I know from experience that it’s a terrible feeling to start your day this way. So let’s stop it now and I am going to help you. If you are at home and reading this, let’s take five minutes to get into the right frame of mind. I like using what’s called. Affirmations are things that people say to us or we say to ourselves that provide emotional support and encouragement. They are positive motivational words that help to quickly get you in the right frame of mind. There are many more, but these are just a few that I say to myself each morning. Now I want you to say these or other ones you find to yourself now. Don’t just speak the words. Put some meaning behind them. Really feel what you are saying and focus on the words to solicit a real impact on your day. Next, close your eyes and envision how you want your day to play out. Get very detailed on what the end of the day looks like. By doing this you already know the outcome. You already know the steps you need to take to have it all play out. Visualizing your day this way can have lasting effects on not just your mood but how productive you are on anything you do for the entire day. Look, I am not saying that it’s not going to still be a challenging day. You still may have some hiccups and setbacks, but you can manage them better. You are in the right frame of mind and ready to deal with whatever comes your way. Don’t think ahead to the things you have to accomplish tomorrow. Only focus on today. Taking each day one at a time is one of the keys to success. Discipline and focus are two others. I know you we have talked about discipline in the past. You know what needs to be done and how to go about it. We talked about stepping back and refocusing when the situation warranted it and how it can help you stay mindful of what you need to accomplish. So the only thing to do now is seize the day. Get dressed. Get ready. Stay focused and disciplined in everything you do. Refocus when you need to. Don’t think farther than these 24 hours. Only concentrate on these 86,400 seconds that you have to become that much better today. What steps are you going to take to get through today? Let me know in the comments. December 18, 2015 December 19, 2015 Antonio V.
As children, we are told that our dreams are important. Our parents tell us that if we work hard and study that they can come true. And at that age, we feel like anything is possible. So what happened? Many will say that life happened. I understand that, but I will also say that it sounds like an excuse. See, somewhere between our youth and adulthood society told us that it wasn’t acceptable to dream anymore. Don’t believe me? When someone is daydreaming what do people say about them? That they have their heads in the clouds right? That they can’t take anything serious and that they will never amount to anything. We both know that is not true, though. These people didn’t succumb to society’s wishes. They knew their creative mind needed to flourish so they kept dreaming. They didn’t listen to the naysayers. They started with a dream and held onto it. They guarded the dream and nurtured it despite what anyone told them. Sure they heard the doubters tell them to grow up and that dreaming was for children. But they didn’t listen. They slowly began to anchor their dreams to themselves. They wrapped the chain of the anchor tightly around their body and firmly pressed the anchor to their chest. Each time they heard negativity, they held onto the anchor a little tighter. Attach it to your anchor and press it firmly to your chest. Wrap the chain around you and don’t let anything take it away from you. See, this is how you realize that you have grit inside of you. This is when you realize that you must grind to achieve your heart’s desires. This is when perseverance and determination are manifested in your life and you realize that you have the power to win. 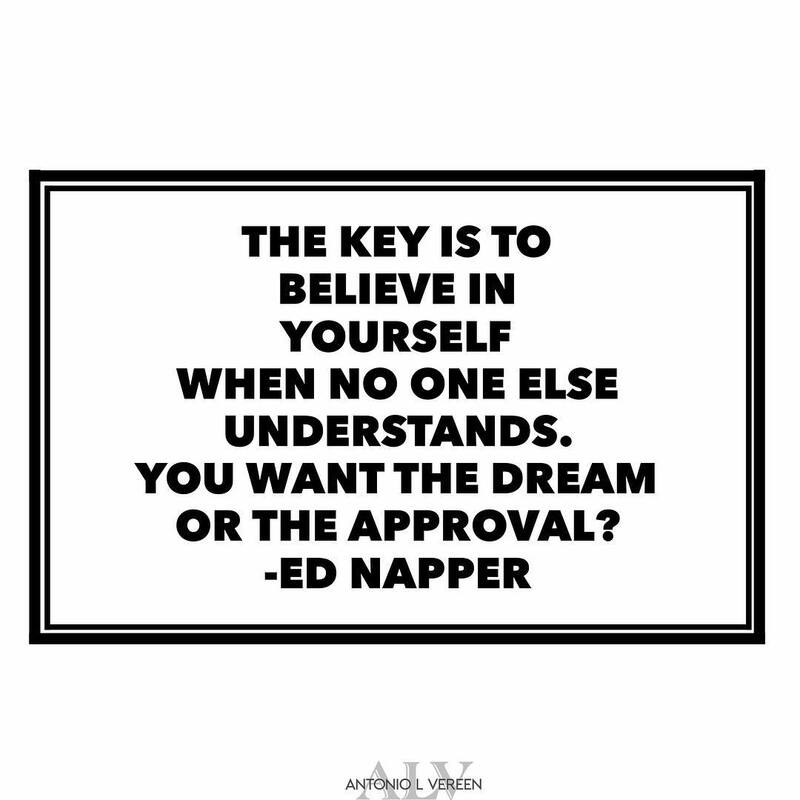 You have to believe in yourself and your dreams when others don’t. This is how you are going to get through all the tough times. Through all the days when you feel like quitting. When you are presented with a path of obstacles, you are going to hold on to that anchor and push through. 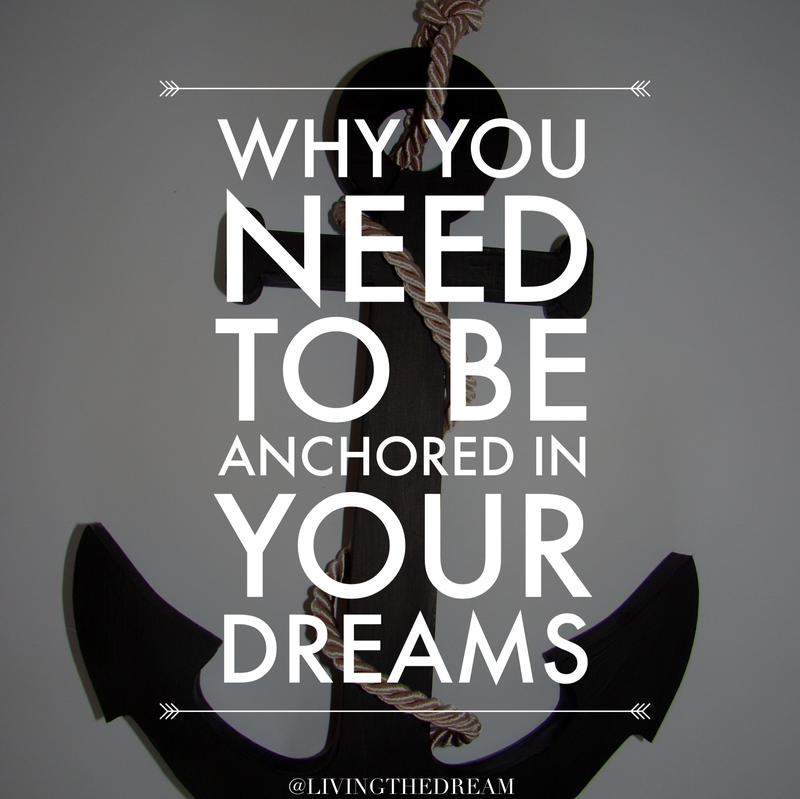 When the waters of uncertainty and despair start to creep up, use that anchor to weather the rough seas. December 14, 2015 December 18, 2015 Antonio V.
How do you view negativity situations and adversity? You know the world would be a pretty boring place if we all looked and acted the same. It would also be equally boring if we were all handed things without putting any effort into obtaining thing. In the real world you and I both know that nothing is easy. Nothing is given to us for free either. You have to claw, fight, scrape, kick, and push your way to the life you want. From birth, we are surrounded by people who play a significant role in helping you realize and fulfill your dreams. But you learn quickly in your interactions with other kids that negativity is part of the human makeup. That there will be many who don’t want you to succeed at an early age. And you have to quickly learn who has your best interests in mind all the time. If that’s no one, that’s ok too. Because there are people out there rooting for you. You just haven’t met them yet. And something that you won’t believe, but negativity really is your friend. Now, I know you are sitting there wondering what the hell I am talking about. But hear me out. Negativity can be used as fuel. Think about it. People who talk about other people are actually helping you. They are pointing out your so called flaws. They are allowing you to prioritize how you go about addressing these supposed flaws. But remember that negativity is really masked insecurity. The other person is really insecure about themselves and try to project that on you. I say use that negative energy for the good. Use it as an ally in this instance to make yourself better. Here’s why. They told you that you wouldn’t graduate school and have a better life. They told you didn’t have the experience to start your own business. They told you that if you started a blog no one would read it. They told you that no matter what you do, you will never amount to anything. I don’t know about you, but that fires me up. Because I know that adversity is right behind negativity. They are best friends and come hand and hand. And I know that in the end both of them will make me a changed man after I am finished. See don’t look at the experience with negativity and adversity as being a bad one. The minute you do you have already lost. Plain and simple. Look at it as a positive. They told you that you couldn’t do something and now you show them. Embrace adversity and negativity and allow them to be the fuel on your journey to greatness. What has happened recently that you thought was negative, but could be the opposite? November 27, 2015 December 1, 2015 Antonio V.
How many times do you use the word no a day? No. Say it with me. No. Why am I asking you to repeat that word? Because many of us really don’t know the power of the word no. See, when you are a child you are taught to say no to many things. Say no to drugs. Say no to strangers. Say no if you don’t want something. Say no if you don’t feel comfortable with something or someone. We were taught to just say no. Then we grow up and your parents begin to say no to you a lot, but you are supposed to say yes to things they want for you. Say yes to taking all the classes they want you to. Say yes to the clothes they want you to wear. Say yes to who they think you should date. Say yes to the college and the major they want you to take. Hell, you are basically saying yes to their broken dreams that they didn’t fulfill. Then you get out in the workforce and are told that you don’t say no out here. That you should never tell your Boss no for any reason. You do what you have to do no matter what to get the job done. You are told that no is a career killer. Basically, they would rather you sacrifice your soul than to tell them no. Want to know how many times I told people no in my military career? A lot. Maybe that’s why I am not in the military anymore! Oh well. Honestly, I believe in the power of the word no. I believe that the word frees you up from doing things that you otherwise would neve find yourself doing. 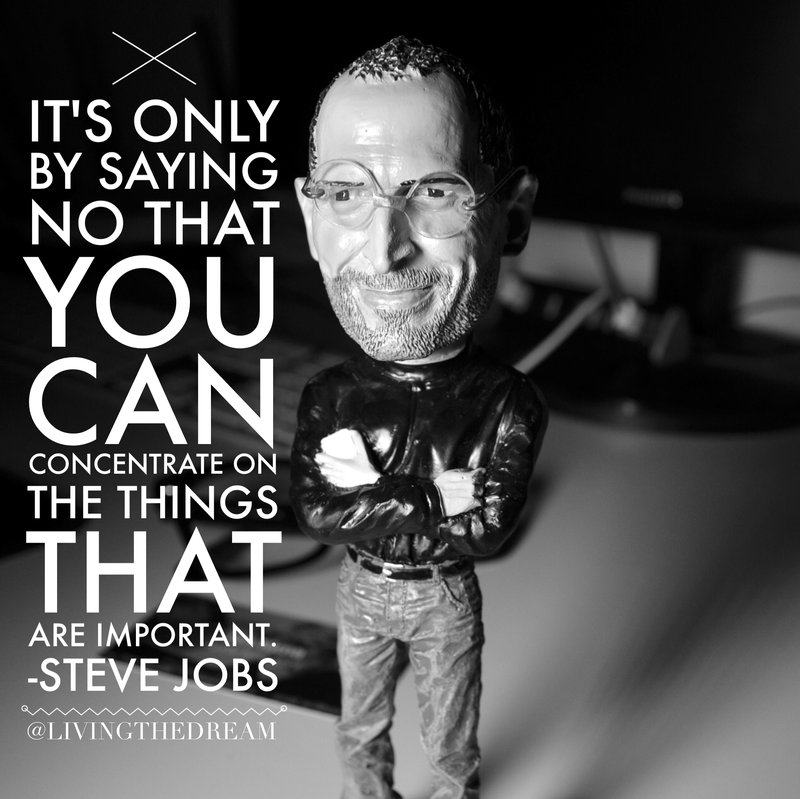 See, Steve Jobs believed that by saying No to a lot of things it helped you to be focused on a few. Really focusing on what you want to do in life. Not what your parents or friends want you to do. Focusing on what matters. See, I said no to a lot of bad ideas in my life. Even when I was looking for a job after I retired I said no to jobs I didn’t want to do. I wasn’t being picky. I just wanted something better. Only by saying no to the norm is how you will get further in life. And you will probably lose some friends. Maybe even some love ones. But if they truly believe and care for you hearing no won’t turn them away from you. Hearing no will hopefully show them that you are strong in your convictions and know what you want in life. That you want to be in charge of your life decisions. Because saying yes to everyone else and saying no to what you want will get you nowhere. What’s important to you? What makes you jump out of bed in the morning? What fuels your every waking moment? Those are the things that you should always say yes to. Until those are accomplished, everything else should be told no. Because if you really want them you will stay focus on only these things. You want to be a better person and live a fulfilling life right? You have to say no to things that will take away from that. You have to say no to people who think they know what’s best for you. Sure, listen to people’s advice. But if you feel in your gut that you are being led the wrong way, say no. The whole reason for your existence is to be the best person you can possibly in your lifetime. You should want to achieve everything that you wanted as a kid. I am not saying that you will be another Steve Jobs. Who wants to be? I would imagine that he would want you to be better than him in whatever you decide to be. But he would definitely want you to say the word no more. What are you going to say no to today that you have been putting off?